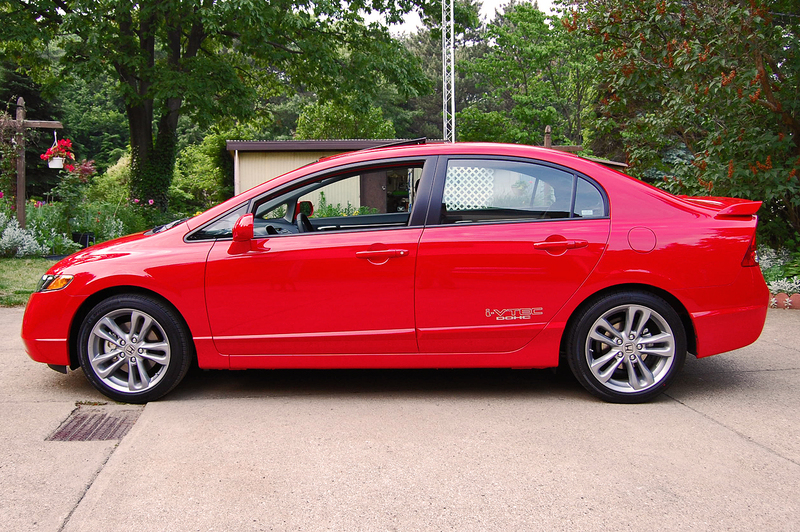 Back in 2008, we reported to you on a brand-new Honda Civic Si sedan. At that time, the car had less than 40 miles on the odometer and had rolled off the assembly line in Ontario only days beforehand. Since then, the car has covered over 125,000 miles, had about 25 oil changes, four sets of tires, seen six Pennsylvania rust-belt winters, and been smashed into (hard) in a parking lot. We thought it might be interesting to see what time and distance has done to it since day one. June, 2008. 34 miles on the odometer. March, 2014. 125,633 miles on the odometer. Three decades or so years ago, the idea of a Japanese economy car lasting this long would be nearly unheard of in this part of the world. Granted the drivetrains were always quite solid, but in this part of the United States, rust tended to disintegrate the bodies of Asian cars like septic-safe toilet paper. My father’s first car, a 1970 Toyota Corolla, began to rust through after two years. Now, nearly every steel-bodied vehicle is galvanized and thoroughly treated to prevent corrosion. The Civic we feature here today has spent its entire life parked outdoors and has been driven year-round on sun-baked highways and sodium chloride coated thoroughfares. Often, cars will suffer from corrosion in places where there have been accident repairs. (This author’s old Saab 900 being a prime example) This car, about a year or so into its life, was hit by an SUV while parked in a lot. The front end suffered considerable damage, but it was repaired properly aside from some slightly miss-matched paint. This car has no rust. At all. Anywhere. 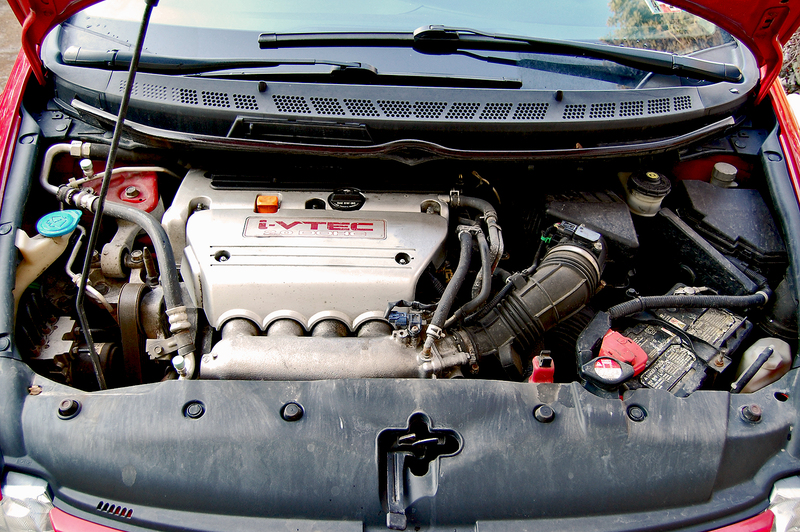 The engine in the Si model of this generation is Honda’s K20Z3 unit. It displaces 2 liters, produces just under 200 horsepower, and redlines at 8,000 rpm. 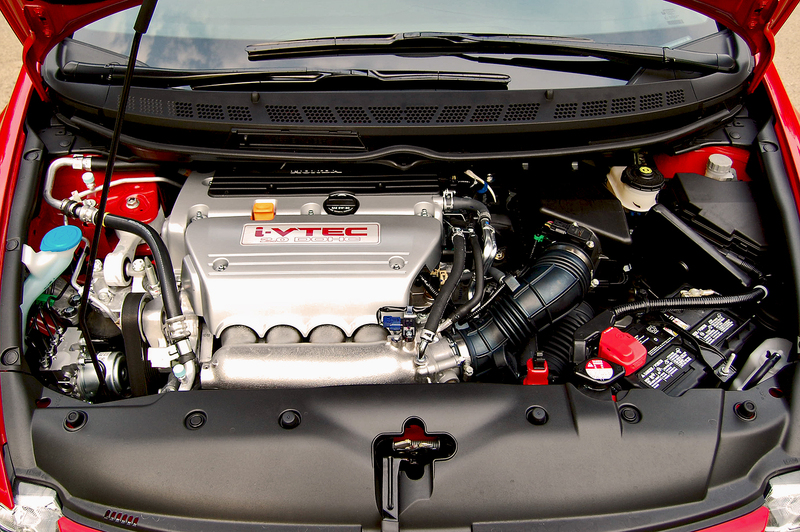 The VTEC system spiritedly kicks-in around 6,000 rpm and it still goes like hell when you want it to. On a cold morning, the engine will idle at 2,000 until some heat builds up. This powerplant can accurately be described as a bit “high-strung” and it is to be forgiven if, at this stage in its life, it burns a wee-bit of oil. Not really a significant amount, but enough that when the weather is hot, it’s not a bad idea to check the dipstick every month or so. The spark plugs have been changed once, but it shouldn’t need another set of four NGKs for another 75,000 miles or so. The serpentine belt is also original. Honestly, it seems just fine and doesn’t need to be changed yet. The six-speed manual transmission still contains the oil it left the factory with. It’s still one of the slickest out there – an especially surprising trait on a front-wheel-drive sedan. The feel of the gear-change hasn’t really changed at all and it remains precise and smooth. 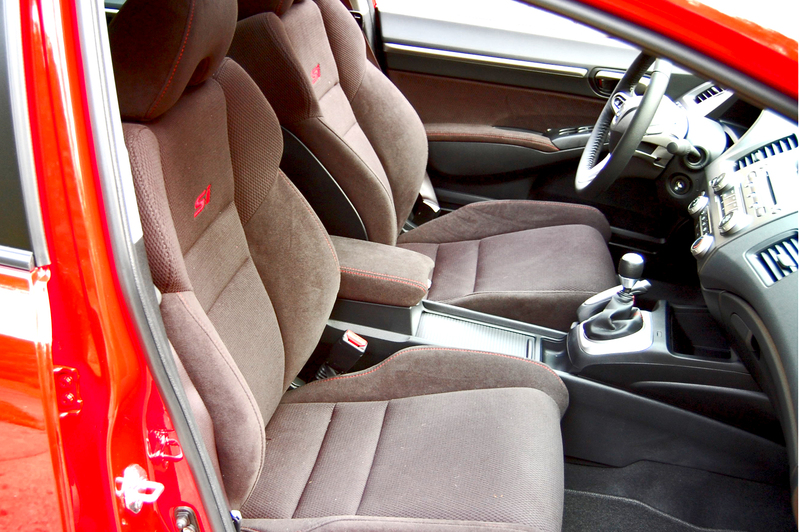 The clutch action is also more-or-less as it was when new. It might benefit somewhat from some fresh hydraulic fluid, but that’s about it. The clutch itself has never been replaced and shows no signs of slippage, shudder, or bearing noise.PennDOT isn’t known for producing the finest highways in the nation. The roads can suffer from potholes that could be considered actual geological formations. The Civic Si is much more stiffly sprung than its less-sporting cousins and comes standard with low-profile tires on alloy wheels. (For the “off-season”, this car wears a set of standard Civic steel wheels with hubcaps) Given all that and the mileage, the struts are getting a bit old and do not have the same rebound dampening that they once did, but it’s probably not something one would notice unless they are familiar with the car. Bushings and ball-joints are still solid. The only major issue to date is the right-rear wheel bearing which is starting to make a bit of noise. 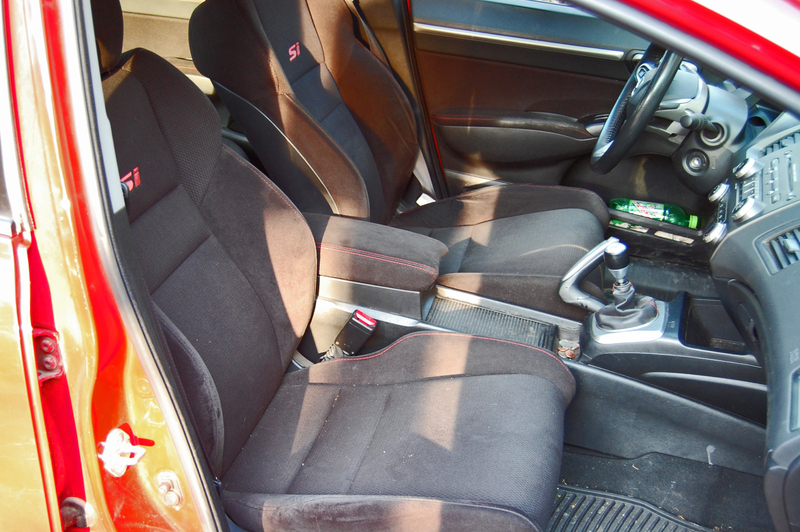 In spite of being desperately in need of a good cleaning, the interior has held up quite well. It has been baked and frozen repeatedly yet there are no signs of the dashboard pieces warping, delaminating, or cracking at all, though to be fair, this shouldn’t be an issue anyway with 21st century plastics. The Alcantara-like material that upholsters the seats’ side-bolsters do show a bit of wear, particularly on the drivers side. However, considering how large the bolsters are, and how often they are pressed against during entry and egress from the vehicle, one can’t hold fault against it. The only other quality issues that the cockpit of the Honda has displayed have been the occasional rattle from somewhere beneath the glovebox (that has been a bit of an unsolved mystery for some time), and the light which illuminates the button for the rear window defroster has ceased to function. From the time it was new, my Volkswagen Golf used to blow out various light bulbs – headlights, brakes, markers, signals, etc – at any given time. Its ability to burn through headlights was a primary factor in my decision to eliminate its daytime running lamps for the sake of conservation. It was actually a bit of a rarity that every piece of lighting equipment functioned at once. 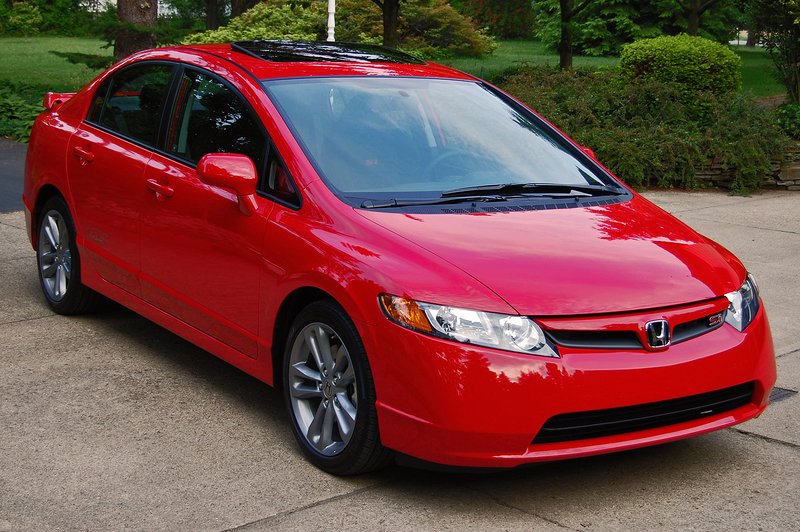 The Honda has had it’s headlight bulbs replaced once since 2008. Everything other light is still original from the factory. 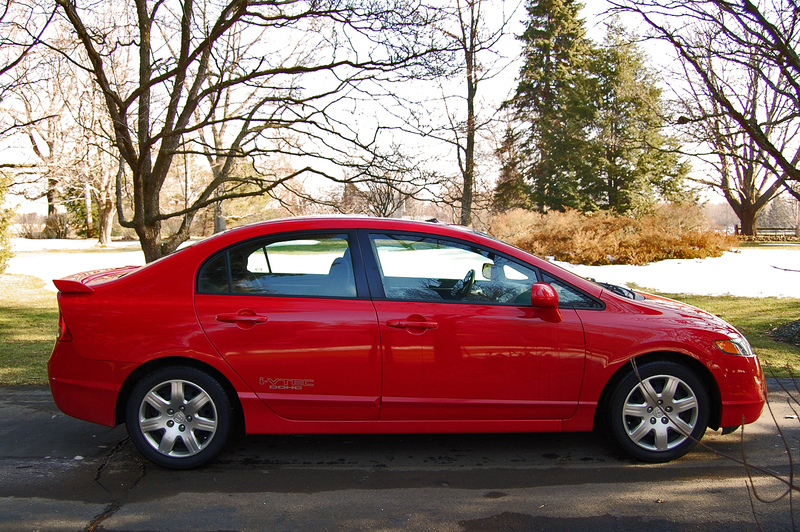 The eighth-generation Honda Civic is a ubiquitous car on roads all over the country. Well, pretty much anywhere for that matter. In some respects, it’s similar to the way old VW Beetle used to be. It was commonplace, affordable, economical, reliable, kind of odd-looking, but pretty damn good at just being a car. The Civic has those traits and more, and the Si can actually be quite fun. It’s sort of the way some old Italian sedans used to be when you think about it… except without the rust and temperamental electrics. 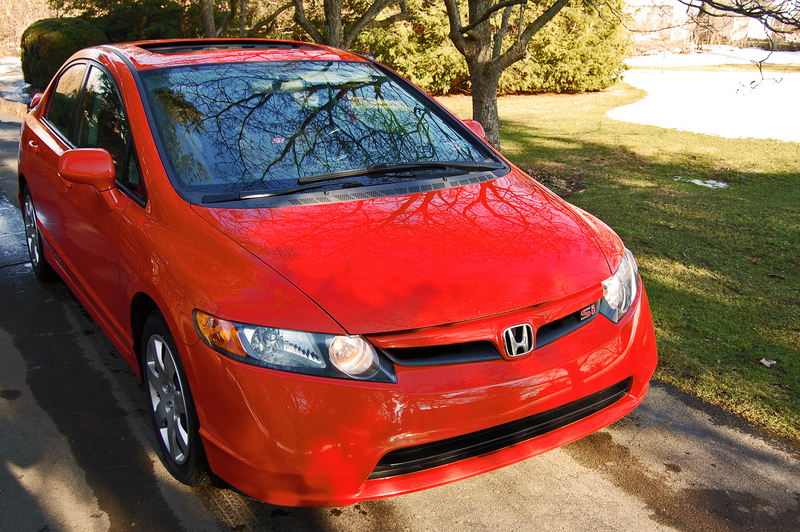 So, with the passage of six years and 125,600 miles, not much has really changed for our Honda here, and that’s actually pretty remarkable. Hmm, good for the Civic. We have a 2003 Matrix – low beam headlights replaced twice, other than that no lightbulbs have needed replaced. And it replaced a 1995 Golf, that only ever had one headlight bulb replaced, along with the rest of the headlight, after a pigeon flew into it at 90km/h! So your Golf may have been an oddball, but modern lightbulbs last and last…. Great car! But why do you have the LX wheels on? Thanks! Those are on for the winter months. If the weather ever clears up, the alloys will go back on. These new vs used comparison pics are great! Thanks for this article. I have a 2008 civic Si coupe, and it has no problems, other than the clutch pedal doesn’t really travel perfectly “smoothly”, and some rock chips to bare metal on the hood. And somebody scraped by rear bumper by the passenger wheel. The car is great. It’s good to know it should continue to be that way.